Selection of AC should be adjusted to the condition of the house or room. 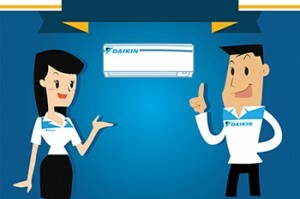 there are three most common types of air conditioning, distinguished from the function and effectiveness. Choose appropriate. Window units, are mounted through a hole in the wall. Large houses or buildings typically use this type of air conditioning due to the spread of the cold temperatures cooler and evenly. Wall units, air conditioning this type mounted against the wall. Suitable for a large room in the house such as the living room, family room or master suite. Portable units, is AC which is not mounted on a wall or a window that can be moved from one room to another. Although it is quite practical, the cold air is usually not too pronounced when placed in a large room and a lot of people. 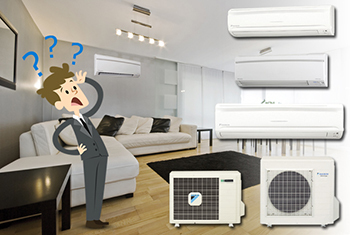 This AC type is more suitable placed in the room, or to a small house. Air conditioning cooling capacity very influenced by many factors. Among them the size of the room, the number of window, the doors, number of family members, equipment and energy consumption in the home. Many more people, it would require AC power greater. You have to adjust the electrical power in the house with AC electric current flowed. Think of how much electricity costs to be paid to the use of air conditioning. If you had the electricity bill could swell because the air conditioning, you should think twice about using it. AC which energy saving as possible the price will be more expensive than a regular AC, but think about the long-term benefits. Your electricity bill will be much less expensive per day, making it suitable for those who want to save money. 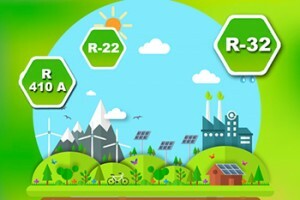 R-32, R-410A and R-22 on the AC, what does it mean? Bagaimana Memenuhi Kebutuhan Udara Bersih?